Barney never had anyone tell him he was Legendary, he decided he was and then acted in that manner. 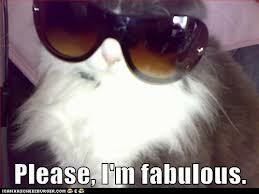 I decided I was Fabulous and acted in a manner that says this works for me. That is important because perhaps you are shy. It is not like you are going to start shouting from the rooftops (though I would) I am FABULOUS! and for those who know me would laugh because they know I DO shout it all the tine, on Facebook, on Twitter, on Linked In, in person, I tell anyone and everyone whether they want to hear it or not. Do what feels comfortable, but if you get a chance to step outside of the shell, I think you will find new fabulousness waiting where you never knew existed. Most importantly, have a positive attitude, be grateful for your life and what you have, who you are, desire to be kind to others, and have dignity and integrity. Smile, be happy, compliment others, take compliments well, enjoy life, enjoy all things of life, good AND bad. Be confident, go out once in awhile, clean up or do your makeup daily, even if you are not going out, a little mascara, blush and balm always help me feel fabulous. If you are not a makeup wearer, or perhaps a guy reading this, do whatever it takes to keep yourself clean and groomed. When I was very down because of a break up, once I crawled out from under the covers and at least brushed my hair and washed my face, I felt SO much better. Feeling good, makes you happier; and when you are happy, others are happy, when others and you are happy you tend to start feeling fabulous. Have you heard about having and Attitude of Gratitude? If you feel grateful you will BE grateful? Will the same rules apply here. 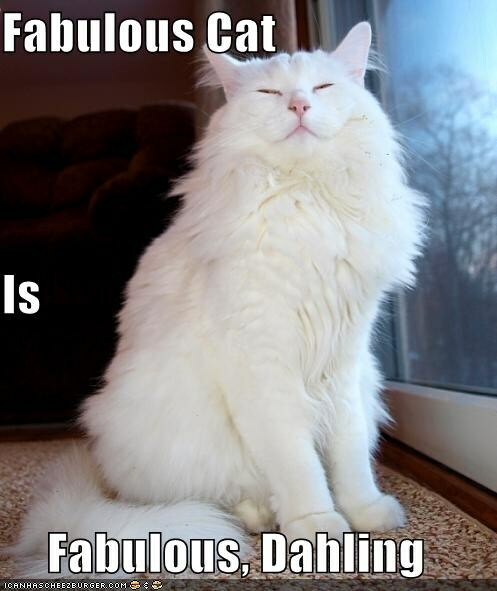 To Be Fabulous you need to own up to your Fabulousness. 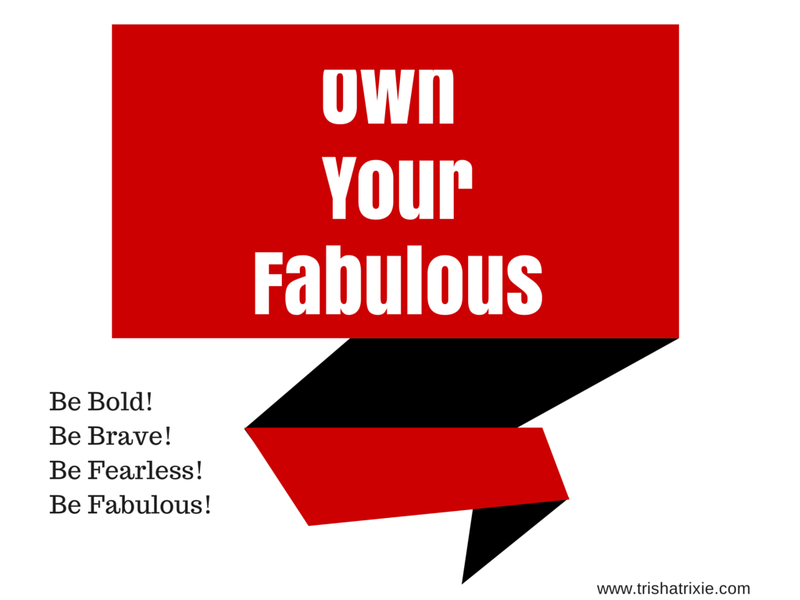 Who you are and how you are ALREADY Fabulous! Owning up to who you are, what type of person you are, what your body shape is or is not, what your life is and so on. 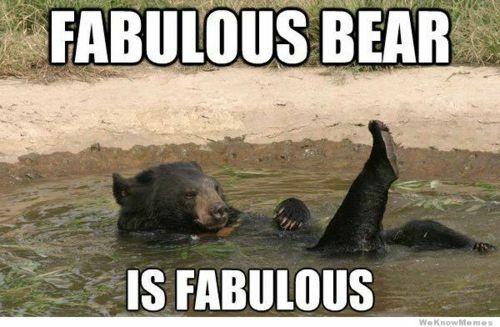 Anyone, ANY…ONE can be Fabulous. It is all up to you. Live it, breathe it, be it, own it. Own up to what is inside you. Own up to the fabulous that is already inside of you. I would like to start off by introducing myself, and why I think I am a good person to lead you on your quest to Be Fabulous. My full name is Patricia Ann Hunter, but most of you know me by Trisha Trixie. I am 44 (though I don’t look it), and I am a lover of life. I could go into a long drawn out reason explaining all the many things I have been through. Why they affected me and what they did to me, but to me that is just dwelling on the past. I could have looked at my life and said I give up and as I said I tried. When I got my senses back, I pulled up my bootstraps and dusted myself off I realized…I was actually blessed. I know you might think I am a whack-o-doodle for saying that, however; I think there are many times in life people only see the telescope of life in front of them and see me. I choose to look at the Kaleidoscope of Life. Life is really beautiful; you just have to open your mind to it all. I could have turned away from life, dug myself into a hole and stayed there; I could have pulled the covers up over my head, and told the world I was not going to come out. You may have felt like that as well. The reality is: Life Happens. We need to just get on with it because it is going to go one no matter what. I don’t want to walk around grouchy, grumpy, or angry. I choose to live it in a happy, blissful state of mind. I choose to not let the trials and burdens of life and people weigh me down anymore. You were meant to be who you are. I choose to Be Fabulous! 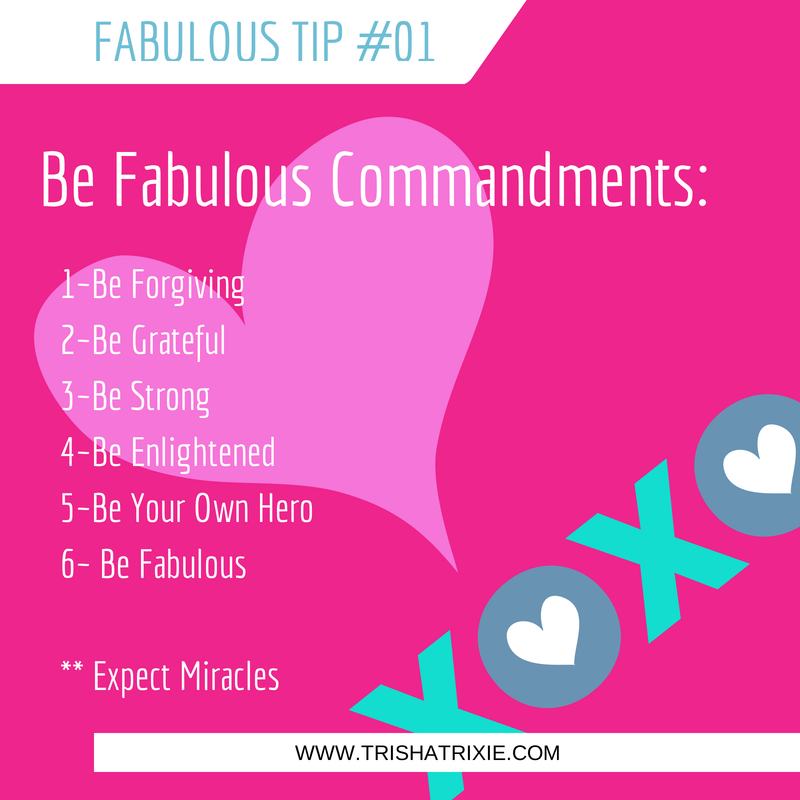 Isn’t it time for YOU to Be the Fabulous person you were meant to be? It’s a new month and new idea. 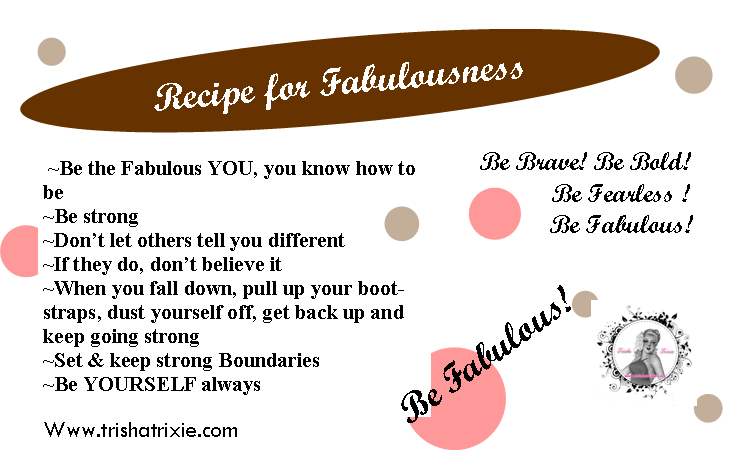 Recipes on How to Be Fabulous. I know you are used to receiving REAL recipes on Sundays. You are used to seeing mouthwatering food and meals. You are used to pictures of food and listing of tablespoons of this or that. It’s not working. My mentor suggested to me to TRY doing Recipes on Sundays and ok, I tried. I tried to have guests write in, I tried to make them, have others make them and well, it’s just not working. Plus, here’s the other thing….Recipes, true recipes are conventional means for conventional aprons. 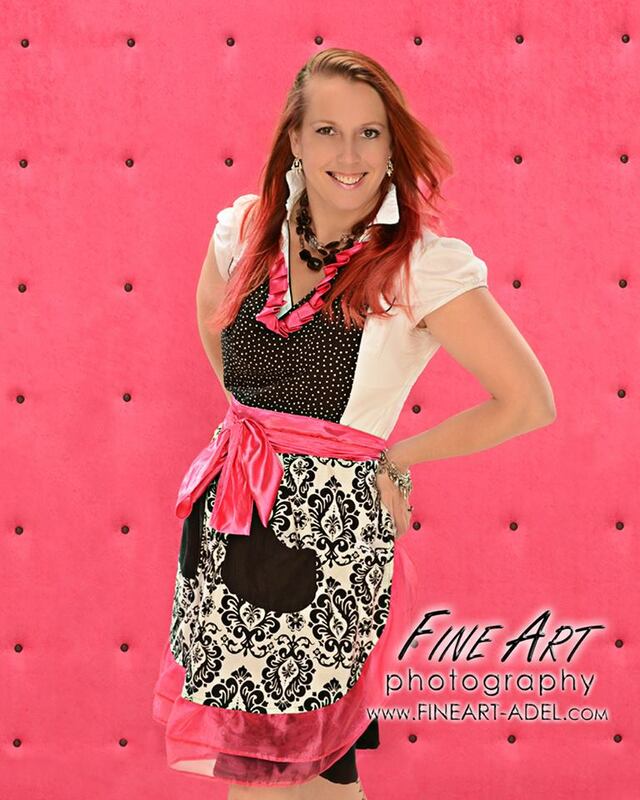 So, now that I have completed a short stint of Venture School, now that I have re-focused my attentions to help others understand that my aprons are not your grandmas apron and they are a fashion accessory I also realized I need to help you realize not only their fabulousness but the fabulousness of yourself. So from now on you will receive a Recipe for Fabulous. Enjoy your first Recipes for Fabulous and stay tuned each week for the ALL New Recipes for Fabulous!